With a scoreline outside the top ten on only two occasions, the Australian cousins put on a masterful display of Nacra17 sailing in conditions ranging from near drifting to winds hitting 25 knots. Following on from their wins at the Hempel World Cup Series events in Enoshima and Miami, victory in Mallorca now places Waterhouse and Darmanin firmly as the form boat going into the European season. Italy’s Vittorio Bissaro and Maelle Frascari took second place, narrowly beating Great Britain’s John Gimson and Anna Burnet by only two points, with the podium placings being decided in the final race of Gold fleet. Vittori Bissar and Maelle Frascari (ITA) took second point by just two points over Gimson and Burnet (GBR). The regatta began in very light and tricky conditions, with Germans Paul Kohlhoff & Alica Stuhlemmer, and New Zealanders Gemma Jones & Jason Saunders off to the best starts on day one. Day two saw more typical Palma conditions, with warm sunshine and a moderate seabreeze. Following an 18th and 2nd placing on the opening day, the current World and defending Trofeo Princesa Sofia Champions Ruggero Tita & Caterina Banti (ITA) jumped to the top of the leaderboard after a string of second places. But consistency proved to be the winning formula, when on day three Waterhouse & Darmanin took the overall lead, a lead they would not relinquish, extending to 18 points by the end of finals racing. With the medal race blown out due to strong winds and a dangerous sea state, the result were sealed. 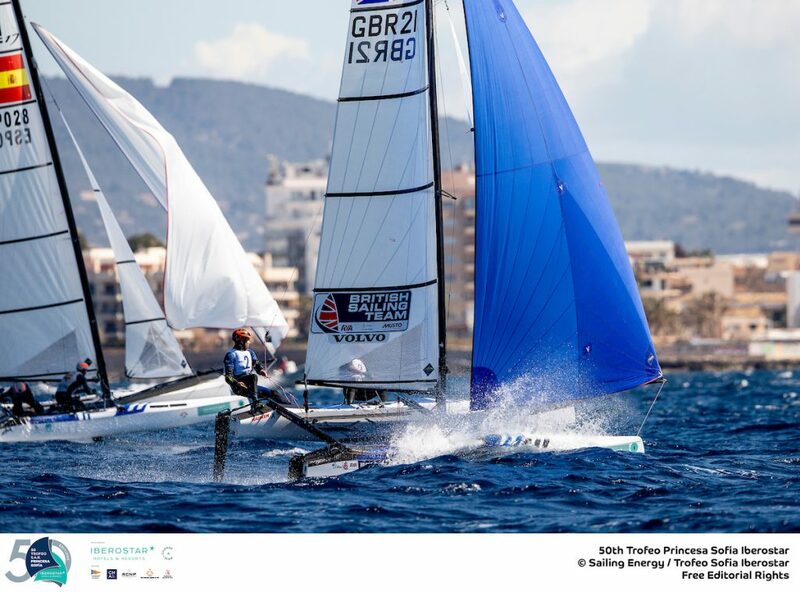 John Gimson & Anna Burnet (GBR) revelled in the Palma conditions to take third place. The Nacra17 racing was not without it’s fair share of excitement. On the final race of day five, Kohlhoff and Stuhlemmer were involved in a collision with Tita and Banti, causing extensive damage to both boats but avoiding any major injuries to the sailors. Kohlhoff and Stuhlemmer managed to limp across the finish line while Tita and Banti’s race was over. Both teams had secured replacement equipment for the medal race scheduled for the following day. The official Trofeo Princesa Sofia Iberostar media team also had a case of ‘right place, right time’. Placing themselves on the pin end of the finish line earlier in the week for an exciting finish as Ben Saxton & Nicola Boniface (GBR) capsized as they crossed the line directly in front of Rio 2016 Gold Medallists Santiago Lange & Cecilia Carranza Saroli (ARG). 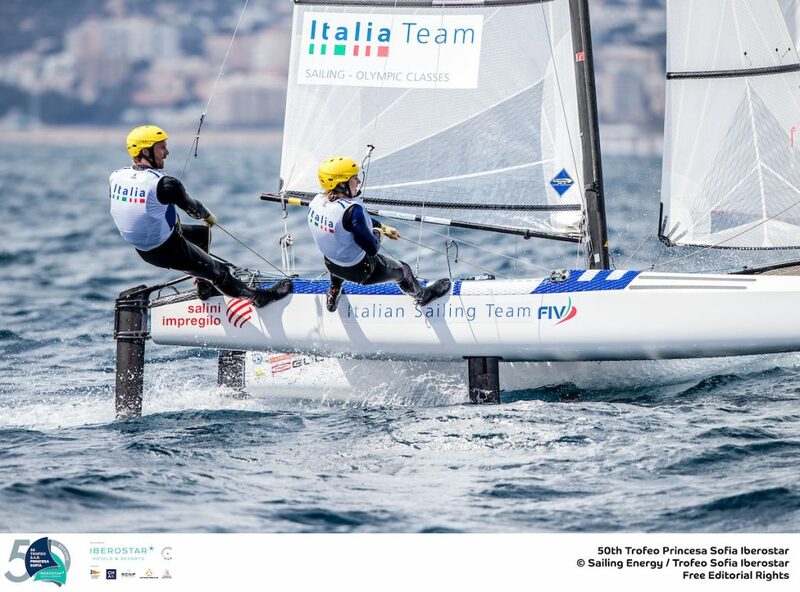 A collision between Kohlhogg/Stuhlemmer (GER) and Tita/Banti (ITA) on day five resulted in extreme damage to both boats. Day 4: Nacra 17 finish and capsize! With 15 months to go until the 2020 Olympic Games in Tokyo, the race for national selection is heating up. For the British Sailing Team, Gimson & Burnet proved too consistent for the 2016 British Olympian Ben Saxton & crew Nicola Boniface who placed third and fourth respectively but with a large points gap between the two teams. The newly formed Spanish duo of Tara Pacheco and Florian Trittle outclassed double Olympic 49er medalist Iker Martinez and his crew Olga Maslivets to put pressure on the Spanish selectors, while Bissaro & Frascari defeated their Italian training partners and current World Champions Tita & Banti. The first full season of foiling Nacra 17 racing saw Tita and Banti dominate the fleet, resulting in the Italian team receiving nomination for the prestigious Rolex World Sailors of the Year award. As we move into 2019 and closer to the Tokyo Olympic Games, the question was wether the rest of the world could catch up. If Palma was anything to go by, that question has been answered. Tara Pacheco & Florian Trittel (ESP) finished well ahead of their Spanish team mates Iker Martinez & Olga Maslivets. For the U.S. 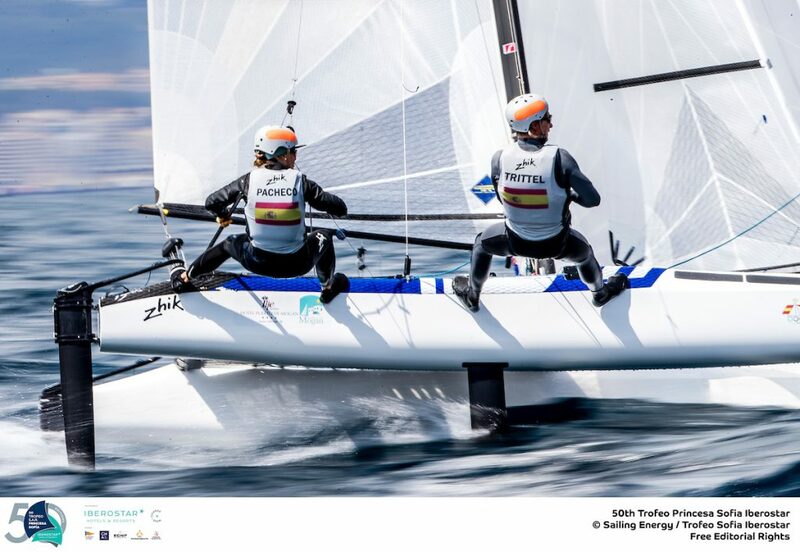 Sailing Team, Rio Olympians Bora Gulari and Louisa Chafee finished the week in 24th place and were only able to break into the top ten on three occasions. With a string of results in the high twenties Gulari & Chafee were shown a clean pair of heels by the new pairing of Riley Gibbs and Anna Weis, who finished 12th overall and well clear of their closest U.S. teammates. As the Olympic calendar evolves, national teams and Olympic selection is following suit. Becoming increasingly popular amongst national teams is the multi-event series to qualify within a country for the games. In decades past, when the U.S.A. lead Olympic sailing, their one and done selection events were the go-to policy of the era. These single event trials were specifically used to simulate the stress of the Olympic Games and identify the athletes who could produce results under pressure. With the qualification for Tokyo starting earlier in the four year Olympic cycle than ever, national teams are using also bringing their team selection forward. In contrast to the single event trials, nations are now looking to reward consistency and remove outlier performances from their selection process. Most national teams are now implementing numerically based systems to avoid controversy, with results based off multiple World level events to determine which team is selected to represent their country at the 2020 Olympic Games. 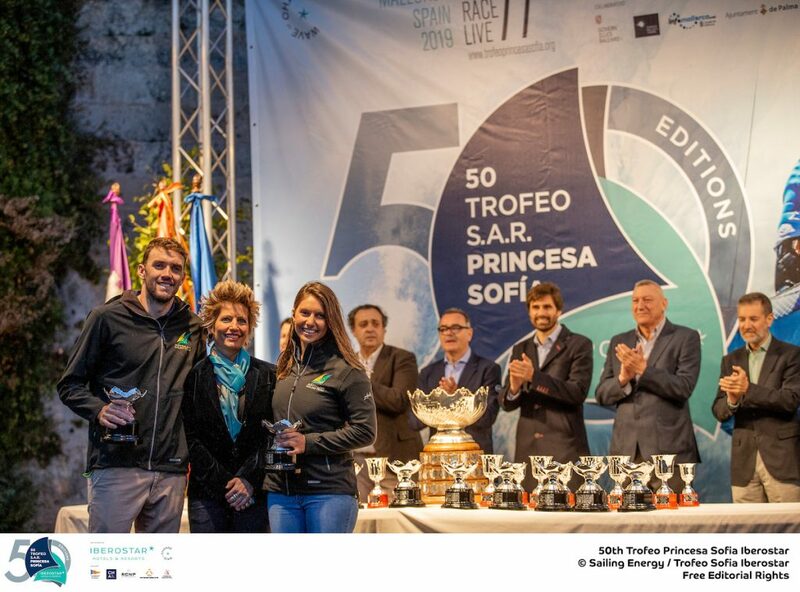 We have already seen many national teams using the 2019 Trofeo Princesa Sofia regatta in their selection process, as well as a combination of their respective Continental and World Championships and the Hempel World Cup Series events. The Nacra17 fleet now moves on to Genoa on the Italian coast. From 14 to 21 April, Genoa will host its first Hempel World Cup Series event and the third of the 2019 Series following events in Enoshima, Japan, the Tokyo 2020 Olympic venue, and Miami USA. Genoa is the penultimate stop of the 2019 Hempel World Cup Series with the event the last opportunity for sailors to book a spot at the Series Final in Marseille, France at the start of June. Jason Waterhouse & Lisa Darmanin (AUS) win the Trofeo Princesa Sofia Iberostar 2019.